Warner Robins Mayor Chuck Shaheen and Council members Carolyn Robbins and Mike Davis received a Certificate of Recognition last week. They received the honor during the Georgia Municipal Association's 80th Annual Convention in Savannah. Warner Robins Mayor Chuck Shaheen, along with Councilmembers Carolyn Robbins and Mike Davis, received the prestigious Certificate of Recognition from the Georgia Municipal Training Institute at the Georgia Municipal Association’s (GMA) 80th Annual Convention in Savannah on June 24, 2013. 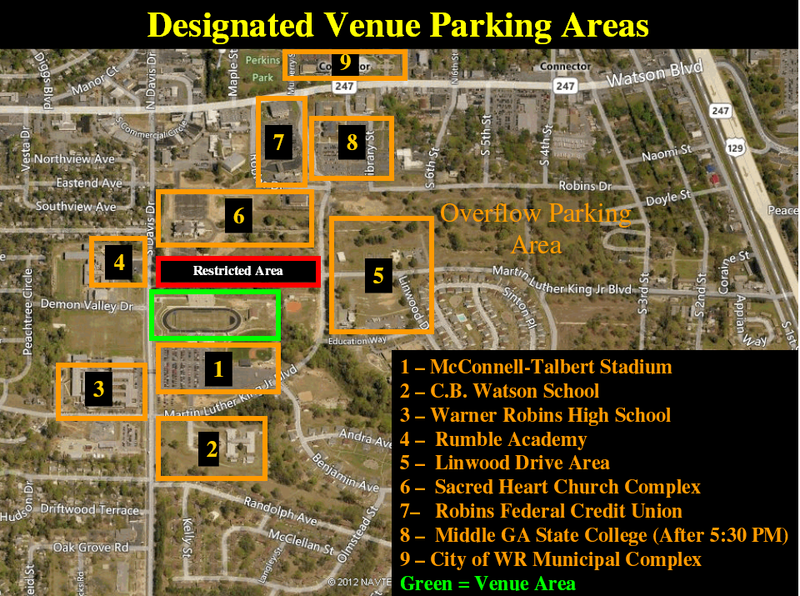 The Warner Robins Police Department and assisting agencies will be providing site security and traffic management for the Independence Day Celebration at McConnell-Talbert Stadium on Wednesday, July 3, 2013. In efforts to provide a safe, secure and enjoyable atmosphere, we would like to distribute the following information:Gates open at 6:00 P.M.
ALL persons and items entering the venue are subject to be searched. WARNER ROBINS, GA- The Robins Regional Chamber of Commerce recently hosted a Ribbon Cutting Ceremony for Heart of Georgia Hospice’s new Thrift Store. Located at 1851 Watson Blvd in Warner Robins, the Heart of Georgia Hospice Thrift Store was created to be an arm of support for the mission of Heart of Georgia Hospice. “Our mission is to provide loving care and comfort to the terminally ill in the Robins Region,” said Tim Poole, Executive Director for Heart of Georgia Hospice. Poole says that the proceeds from this new business & community outreach, will allow Heart of Georgia Hospice to continue to provide several successful programs that go beyond the typical call of a hospice provider, and to minister to the dying with heartfelt support & care. In case you've been a little hesitant to jump into the world of home-brewing on your own, you'll be able to join in on a seminar interest meeting in Warner Robins. That meeting will be a 45-minute seminar for anyone who is interested, whether you are a home-brewing veteran, newbie, or just want to hear what all the craft beer and home brewing hubbub is about. Macon Beer Company gives the chat at Lazy Dog Growler in Warner Robins on Watson Blvd. on Sunday, July 14 at 6 p.m.
Bring a folding chair if you prefer not to stand during the whole meeting.